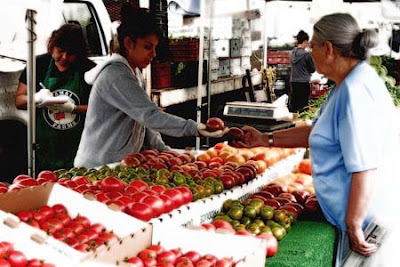 Since a lot of us are on a healthy kick these days, let's keep the farmer's market alive! You can get the freshest fruits and vegetables, baked goods, cheeses, and other delectable goodies at Los Angeles County Farmers Markets. All Certified Farmers Markets (CFM’s) are “the real thing,” where genuine farmers sell their crops directly to the public. My favorite? El Segundo Farmers Market on Grand and Eucalyptus every Thursday 3PM - 7PM. See ya there!